1.12.2 Update: HUGE thanks to NinjaPhenix1 for the update! Greatly appreciated by us all! 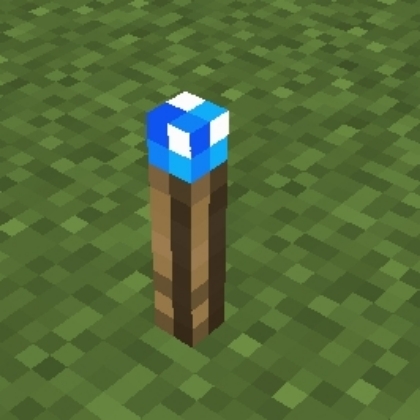 This is a small, simple mod that adds various torches that can be used to increase the tick rates of tile entities. To put that into English, they make machines run faster. There is one main Torcherino, and then there are various upgrades that add onto them. Many of these things are configurable in the mod configuration file which is called Torcherino.cfg and is in the config/sci4me folder. Feel free to add Torcherino to modpacks! Of course, credits are appreciated! Does this work with the powered spawner from Ender IO? Looks like torcherinos might not work with any blocks from ender IO, however easiest way to check would to simply just try using a torcherino on one. That’s a shame if it doesn’t work. I’ll give it a try, though. What are the crafting recipes for these? Awesome! Thank you for the recipes! This mod is really neat. I tried using the basic torch set to 100% on a few things and it seems like it speeds up plants way more than just 100% bonus. Plants grown almost instantly, not two times as fast, which would be expected. You should be able to change the speed of the Torcherino by shift right clicking it with an empty hand. This is also configurable in the control options. oh, you actually mean SHIFT right clicking, not SNEAK rightclicking like i've been trying. I understand that this makes machines run faster and other stuff go faster, but what about the player? does it make the player go faster as well? No, Torcherino only affects blocks, they will not affect entities such as the player in any way. More specifically Torcherino's affect blocks which are effected by the random tick speed as well as Tile Entities such as the furnace or typical modded machines. Is it just me or does clicking on 'Torcherino 7.6' downloads 'Torcherino 7.5'?